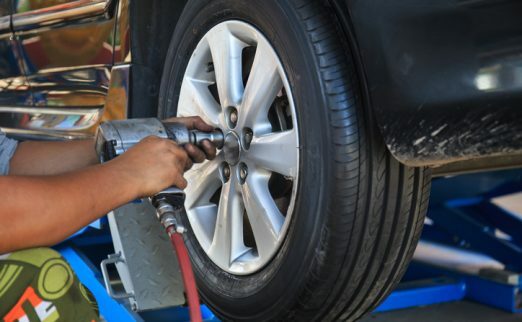 Tyre fitting should only be done with the correct equipment and by a trained professional. 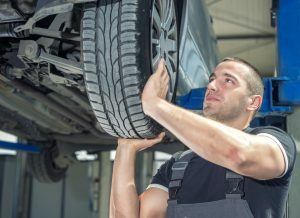 Tyre fitting can be dangerous due to the air pressure used and failure can result in serious injury and sometime death. People need to use a respectable tyre retailer to ensure they get the safest fitment possible when the need arises for new tyres. How do you know when tyres need changing? Most people often realise this on a rainy day and they seem to lose control of their car, or feel the characteristics of the car response and grip through the steering wheel. Most tyres will grip well in dry conditions – even with low tread – but in the rain, is when people notice the tread is getting low. This is due to the fact there is no traction on the tread itself. 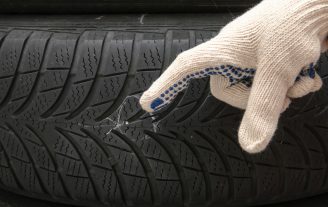 The most common causes of premature wear and shortening the life span of tyres include inconsistent maintenance of air pressure, wheel alignment and damage caused by pot holes, gutters, kerbs and road hazards such as nails, timber or steel. Most people don’t see the inside edge of their tyres because it’s hidden behind the guards and body of the car. In most cases, people are shocked when they see how bald the tyres are on full lock. With the accessibility of internet in everyone’s pockets, people can self-diagnose sickness, build a house and even fit their own tyres. The internet makes it look easy but without investing in the correct specialised equipment, you can do more harm than good. The crew at Nitro Crew are trained professionals and we know what we are doing. Our customers’ safety as well as our own staff is the #1 priority. 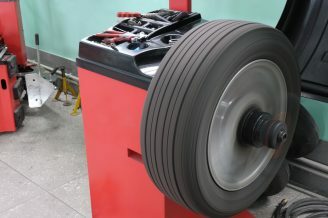 The process normally takes 20-30mins depending on the tyre size and if the vehicle has steel rims or alloys. 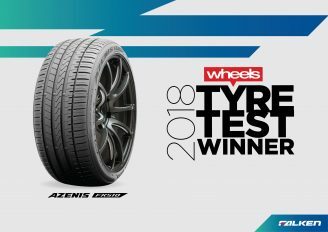 It is important to ensure the tyres are fitted correctly to ensure safety, comfort and longevity on your tyre investment. 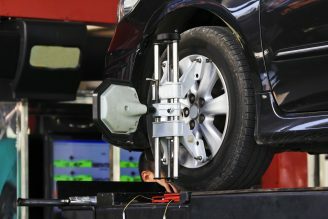 We highly recommend a wheel alignment to ensure your car leaves our store with everything balanced, aligned and correctly set up. If your tyres are due for changing, or if you haven’t had them check in a while for alignment, balance, rotation or pressures, then fill out our online quote form and have one of our staff call you to find a convenient time.